Take a moment and help us celebrate our athletes and help us recognize their achievements while we encourage all to follow their journey. Let us congratulate Rhiannon Lubaszewski & Ethan Fox as our SRRC Athletes of the Week. Rhiannon Lubaszewski is skier of the week. Her hard work during the off season and the current season resulted in another state title. Last year, she won the U12 Derby. This year, as a first year U14, she won back to back state champion for U12-U14. At 12 years old, she has already been skiing for 11 years. She joined SRRC six years ago. Rhiannon lives in Mount Wolf, PA with her parents Tom and Louise and her brother Lane, who is five years old. They have a 3 year old dog named Sparky. Rhiannon is in the 6th grade at Shallow Brook Intermediate School, where she enjoys Science and Physical Education. In the off season, she works out on a Pogo stick doing several thousand hops per week. She wants to learn to unicycle to improve her balance. She twirls baton with White Rose Twirlers. She is also the current Miss Pennsylvania title holder for International United Miss. She plays softball in the spring. She is considering school counseling as a career. However, she would love to have the opportunity to do something with skiing if that works out for her. 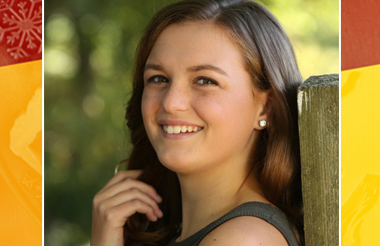 Knowing Rhiannon's' strong motivation, she will accomplish anything she sets her mind too! Ethan Fox is our snowboarder of the week. Coach Jeff says, "Foxy has been putting in the work this season and it shows. If he keeps riding the way he's been, that plane ride home just may be a little heavier with some National Champion medals on board." Ethan lives in Hershey, PA with his parents Rena and Randy Fox. He is currently 17 years old and has an older sister named Alanna. She is 22 and works in DC & they are very close. Ethan has 2 dogs who are almost 5 years old named Benny and Jordan. 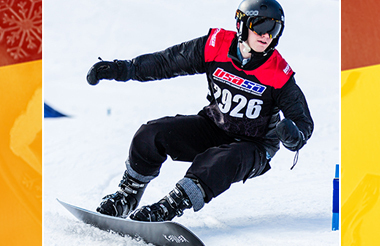 Ethan started snowboarding when he was 8 years old & took lessons that year at Roundtop. He loved it from the moment he strapped on the board. We heard about SRRC at the end of that season. He joined the team the following year. Ethan is a junior and attends Hershey High School, where he is a member of National Honor Society, Key Club and Youth Group. He enjoys History and Social Studies. When not skiing, Ethan plays on the high school lacrosse team. When relaxing, Ethan spends a lot of time and most of his money at Chipotle. In the short term, Ethan would like to attend a college near a mountain, so he can continue to snowboard. After his first year on the team, Ethan convinced his best bud to join the team. They are enjoying their seventh year together on SRRC!